Enrollment for the 2019-2020 academic year is now open. If you are looking to reenroll your child currently attending NBFA, please use the correct form below. Applications to enter the 2019-2020 Blind Lottery for enrollment at New Beginning’s Family Academy will be available starting Monday, Jan. 28. When enrollment opens the form will be available for download on this page or at our offices at 184 Garden St. The lottery will be held mid-April. 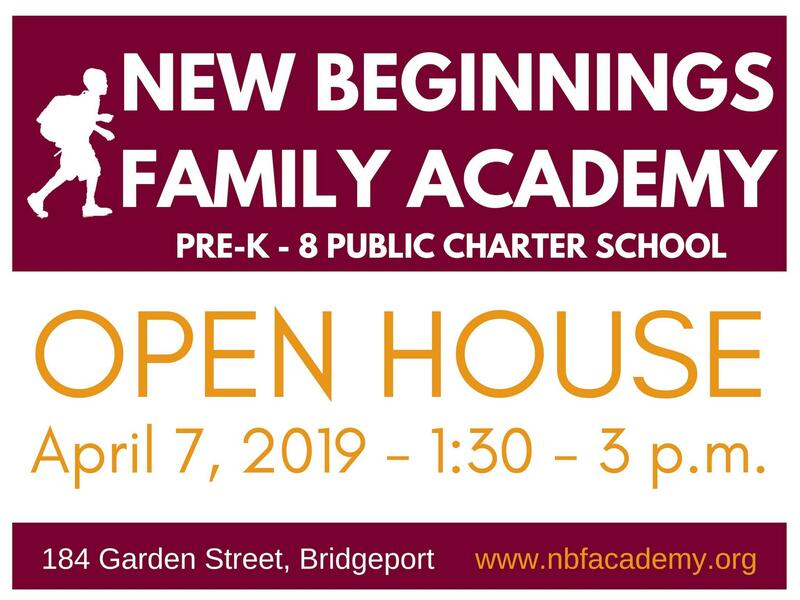 If you have any questions, please contact the main office at 203-384-2897 or email Enrollment Coordinator Michelle Robles at mrobles@nbfacademy.org. Any resident of Connecticut is eligible to participate in our Lottery. Applications are accepted for children entering pre-school (3 and 4-year-olds) through the 8th grade. Currently, 482 students from Bridgeport and surrounding communities are enrolled at NBFA. 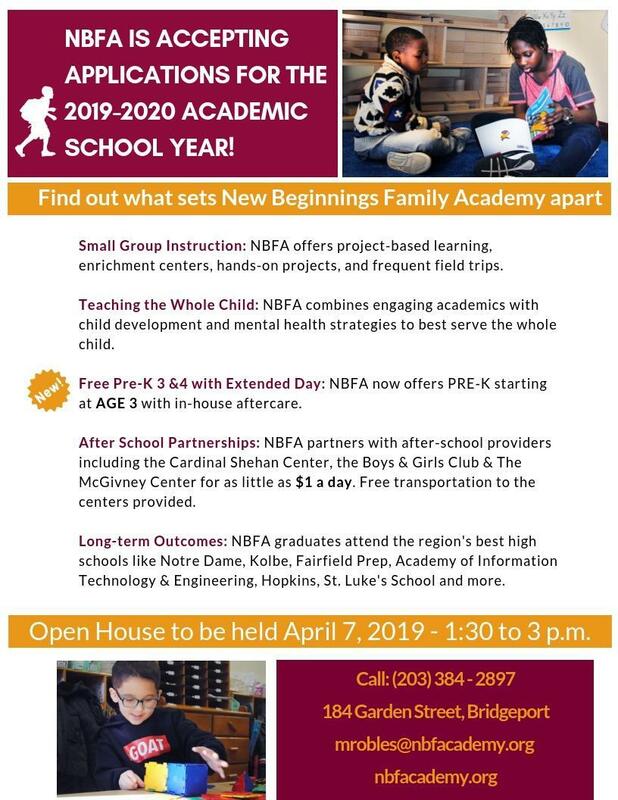 New Beginnings Family Academy is planning to hold an open house on Sunday, April 7. More details will be posted here as they become available. Families of students currently enrolled are given preference for any siblings wishing to enroll in the Fall of 2019. The 2019-2020 Waiting List will remain in effect until the next lottery begins in 2020. New applications must be submitted each year, as names on the Waiting List will not be held over to the next year’s lottery.